At the closing event of each Olympic Games, the Head of the Olympic Committee traditionally claims: This is the end of the best games ever. Even if they were not. But he has to say it, as a matter of politeness towards the people of the hosting country, and because of self-preservation. As it also follows the unwritten rules of capitalism and press announcements: Either grow or die (or you have a very good excuse you’re still alive). Now I am wondering: Would we do the same? Would we say “Contrary to our better knowledge, this was the best VR NOW Con in history”? Just to be clear: We are happy to announce that we don’t have to lie. 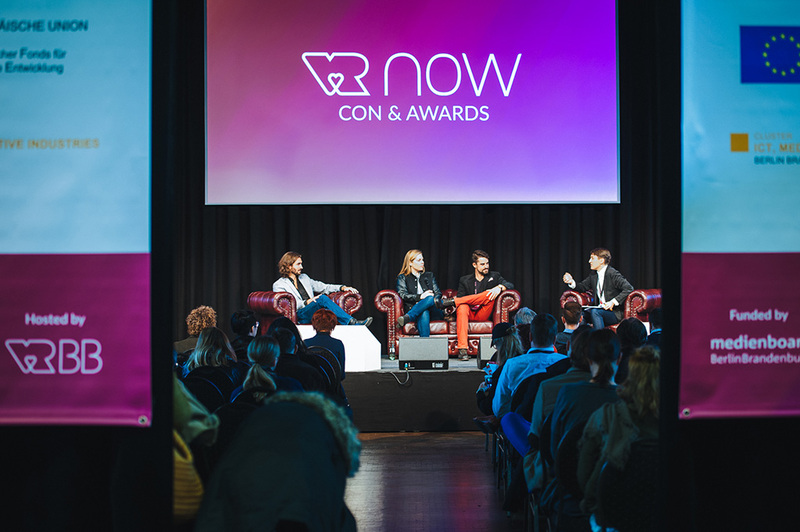 The VR NOW CON & Awards were again successful, which means: more people, more partners, more press, more speakers and more exhibitors on a bigger area. We were able to welcome over 550 people, we expanded the exhibition area, we had a full pre-event at Audi City Berlin and two workshop a day after the conference. That’s growth. So why do I come up with the Olympics? As you might have realized for yourself, the competition of conferences and other shows that concentrate on Virtual Reality and Augmented Reality is very high. Everybody wants a piece of the next big thing when it’s still hot. And the core crowd that attends events not unlike the VR NOW Con is international and rather picky. Especially in times that are labelled as “trough of disillusionment”. Looks like we have survived the shallowing attention and excitement about XR for now. But to be honest: I was thinking about the other option as well, about what to say when things don’t turn out too well. Maybe it’s a German thing, like Angst and Weltschmerz. But it helps with the grounding and, o boy, we are happy now. This is why we again like to thank everyone who was involved in this critical endeavor – foremost the VRBB association and the Medienboard Berlin-Brandenburg. It was the best VR NOW Con & Awards in its two year old history. We’re going to have another (and better) one in 2018. Medienboard Berlin-BrandenburgThank YouVR NOW Con & AwardsVRBB e.V.